Radio advertisements are one of the most popular forms of marketing for many dealerships, but just how valuable are these advertisements, especially when compared to newer, faster, and more cost effective methods? The truth is that even the very best radio advertisement cannot provide you with the same value as an effective automotive SEO campaign. It’s hard to argue that there is any form of advertising that has the staying power of search engine optimization. While it does require maintenance, it costs far less to get the same or even better outreach than you will get with a radio ad. And once you have your website optimized and in a great spot in the search results, you do not have to worry as much about your strategy, nor do you have to continually pay for slots of air that might not even be reaching people that you want to come through your doors. The issue with traditional advertising? It casts a huge net. A net that wide has huge holes in it. Not only is it not going to find the people that could actually be responsive to your message, it is also going to bring in a lot of people that are just not serious buyers for your vehicles. It is going to be effective on people who are never actually going to buy a vehicle from you, while letting those who would love to buy a vehicle from you slip through its hands. SEO does not have this problem. It reaches out only to the people that are already actively looking for a dealership. SEO require you to make changes to your website, which might seem tedious at first, but which will eventually make your website a much more consumer-friendly place. Search engines want to provide their searchers with valuable information in a format that is aesthetically pleasing, which forces website owners to follow their rules and create websites that are full of valuable information, on an attractive page. Some studies even estimate that it makes up more than 60% of your total website visits. If you are not optimizing for search engines, you are simply not going to be getting the traffic to your website that you need. Referral traffic, which includes traffic from your other marketing methods, like radio, makes up only fifteen percent of your website traffic. Because a high ratio of your customers are going to check your website before they visit you, you need to be visible online. Automotive SEO does just that. 5. SEO is more likely to bring you qualified leads than radio ads will. 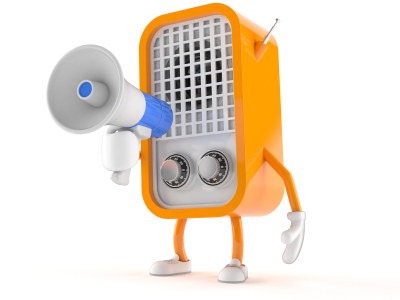 The leads that come from your SEO efforts are going to be much easier to close on than the leads that come from hearing one of your radio advertisements. Because of the psychology of the lead. With SEO, they find and come to you. They have an issue and you are offering up a problem. The close rate of the average lead from SEO is over 14%, which is much higher than the about 2% of leads that will close from outbound marking tactics. 6. You’ll get more prospects. Hardly anyone listens to the radio anymore and even if they do, they are neither in the mindset or in a situation in which they can drop everything and investigate the dealership they just heard about on the radio. What does today’s consumer do when they want to buy something? They go to their computer or pull out their phone and search for it online. When they want to buy a car, that means searching for nearby dealerships. Because this is how today’s consumer operates, you want to be at the head of those search results. 7. SEO helps you build credibility. You might not think that you need credibility, but you do. People are wary of dealerships already. There is a stigma, one with which you are probably familiar and try to fight against, that car salesmen are just out to get you into the most expensive vehicle as quickly as possible. An effective automotive SEO campaign will require you to change your approach to content on your website and might even require you to start a blog where you write and post about topics you are knowledgeable about. Doing this helps you build your credibility, which is much more important to a consumer when they are making a purchasing decision than how funny your radio advertisement was. 8. SEO is less expensive and has better ROI. Depending on where you are in the country and what channel or show you want to air your ad during, radio advertisements can be extremely expensive. And are they really that effective? SEO, on the other, might have a steep initial investment, if you choose to hire a SEO firm, but will bring you much more money in the long run, and the services will usually cost you less, over time, than it will cost to write, record, and continue to air your radio ad. Does this mean that you should abandon all of your other marketing efforts and only focus on search engine optimization? But it does mean that if you are not putting an emphasis on having a functional automotive SEO strategy, you need to. It is how most of your customers are going to find you in this digital age.